Dyeing red with dandelion… or not! …and a friend from the Guild had given me a booklet from the Brooklyn Botanical Gardens which described a method for achieving magenta with dandelion (taraxacum 0fficinale). As I’ve said before, rumours on this subject are many but claims of a result are few, and better dyers than myself have been defeated (at least temporarily) by the challenge of obtaining any shade of red from dandelion. The booklet came from the stash of an older woman who was giving things away, and dates to the 1960s. I have to say the method sounded improbable to me, but I love to use my weeds, and magenta is promising! I am happy feeding weeds to my hens or my friends or even my compost, and dyeing is another good use. I gathered up all I could find with roots attached, since the recipe called for cooking the whole plant for two hours. Well, my friends, the mystery of how red was ever obtained from dandelion was not ended by this experiment. It wasn’t much of a try-out for my rhubarb-leaf mordanted yarns, either! 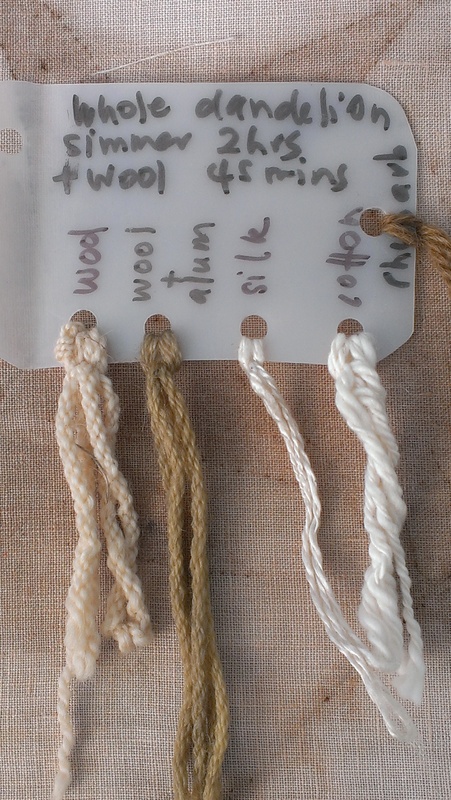 I don’t see any change from the pre-dyeing colour of any yarn on my sample card. Has a crucial step (like a mordant) been left out of the process? Is this yet another case of user error on my part? I simply don’t know. But if any reader does know–I am all ears! I’ve never heard of getting red from dandelions…. interesting! Maybe I’ll do a bit of research on it too! I’d be only too glad to hear of success! I heard of getting red from the root – but not from the common dandelion, supposedly some other variety growing in Scotland. That’s what I read on Ravelry, but the source I was reading stated taraxacum officinale and the whole plant. All sources cited by Karen Casselman are referring to T officinale. Curious! I’ve heard of this, too, but have never seen anyone actually get it to work. I cannot help but wonder if this is a case of a single reference being cited in multiple works. One piece of information being passed along from author to author without ever actually being tried…? Please share if you succeed! I was working on the same theory (*mistaken identity) when I tried out chicory with the common name ‘red dandelion’. It has stupendously deep red stems and veins, but no sign of a dye from there either. Hoping you have better luck! I have seen a reference to getting magenta from dandelions in a biography I am currently reading and would love to lay my hands on the primary source to see what it has to say about it. Unfortunately for me the book is in the State Library of Victoria and sadly I am not near there. I am hoping to get time to go and have a look at it when I go to Melbourne in August. Maybe someone else here would be able to go and see it and report back? by far the best use of dandelions [after salad] was the champagne my grandmother inadvertently produced when attempting to make wine. delicious, but sadly never repeated either. 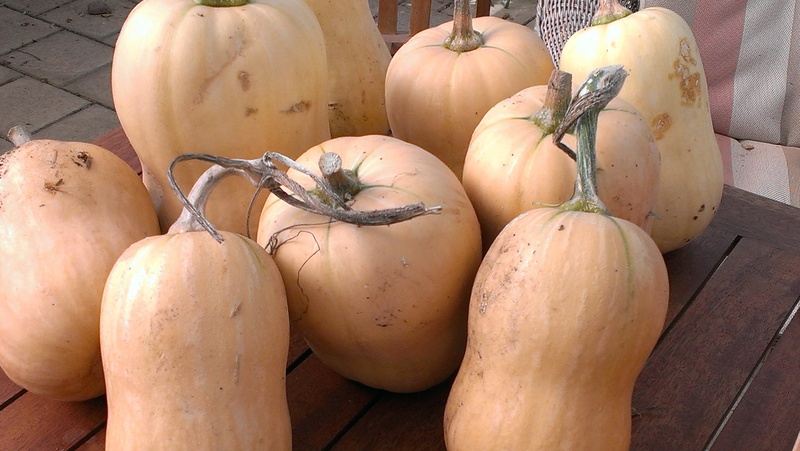 So many variables… so many future experiments… and so many delicious uses for dandelion. I prefer mine cooked. 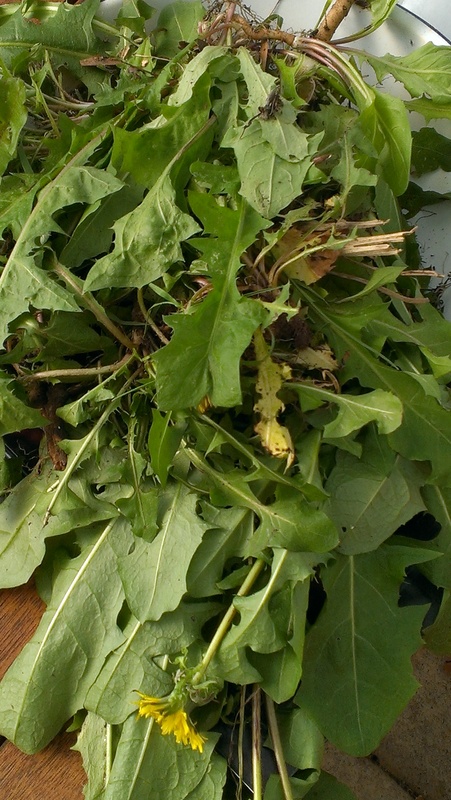 I do make spinach pie, but in the alternative, ‘weed pie’… dandelion champagne sounds amazing! I’ll have to tell friends who ferment their own beverages.